New owners of the Olympus OM-D E-M5 Mark II should be happy to know that Adobe has released ACR 8.8 with RAW support for the latest Olympus mirrorless camera. Current Bridge/ACR owners simply need to go to Help > Updates to download the new version of the software. After a bit of testing, I'm happy to report that the RAW interpretation seems good. The software read the embedded lens profile for my Olympus 75mm f1.8 portrait lens, allowed me to apply a Camera Portrait profile, and did a nice job with all of the basic adjustments. My guess is that Lightroom users will have to wait a bit longer for E-M5 Mark II support as Adobe is working hard to put the finishing touches on Lightroom 6. 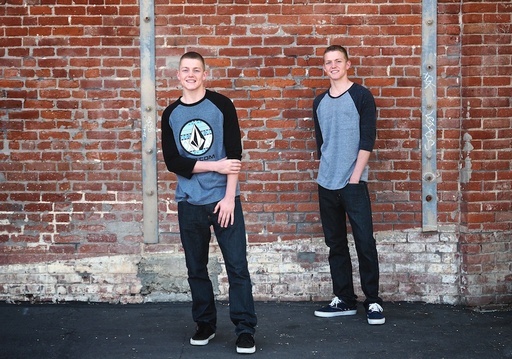 I began the photo shoot with the boys using the Olympus 75mm f/1.8 prime, a spectacular lens. But then we started moving around, and I needed something more versatile if I was going to keep up with these guys. So I reached for the Panasonic 35-100mm f/4.0-5.6 ASPH. MEGA O.I.S. zoom. That was a good call. To be honest with you, this optic defies logic. It is incredibly compact, measuring 2.19" x 1.97" and weighs less than 5 ounces. Yet it covers the equivalent of 70-200mm, and it does so with fantastic sharpness, contrast, and color. Once we found an intriguing urban alley to work, I mounted it on the Olympus E-M5 Mark II. And that Olympus/Panasonic tandem allowed me to keep up with a pair of teenagers. I originally bought the Panasonic 35-100mm as a travel companion for my assignment in Cuba. And it performed so well there, that I've kept it in my daily camera bag. Now it's an optic that I seem to reach for daily. Since this zoom includes optical image stabilization, it's a great choice for both Olympus (with sensor based IS) and Panasonic (optical IS only). 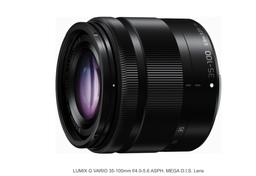 In other words, if you have a Micro Four Thirds body, this lens will serve you well. And at $379, it's not going to break the bank. For more on this excellent lens, see my Field Test from Dec. 2014. The Panasonic 35-100mm f/4.0-5.6 ASPH. MEGA O.I.S. zoom has a high Nimbleosity Rating. What does that mean? You can learn about Nimbleosity and more by visiting TheNimblePhotographer.com. This week on The Digital Story Photography Podcast: Eye-Fi Rubbed RAW, Expensive Filters, Lowepro Reboot, Planning and Staging an Exhibition - All of this and more on today's show with Derrick Story. Story #2 - You Can't Beat the Price for the Fotor Image Editor - I've been playing with a lovely, smart and free image editor called Fotor. Will it replace Aperture? No way. 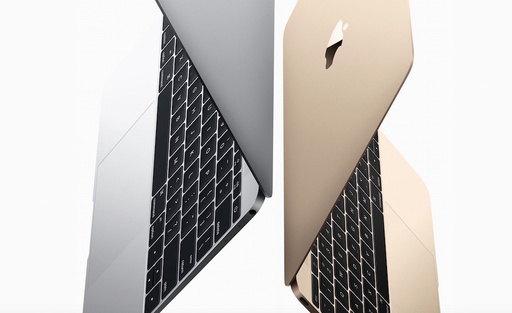 But it does leverage Mac OS X technologies in an elegant, fun package. I discuss in this segment of the show. Story #3 - From the Screening Room - Planning and Staging an Exhibition with Konrad Eek. You can watch Konrad in action by visiting the TDS Screening Room at lynda.com. While you're there, you can start your 7 day free trial to watch all of Konrad's movies, plus every other title in the library (including over 20 by yours truly). The TDS Bodie/Eastern Sierra Photography Workshop is Sold Out. If you don't mind having a small ad parked in the lower right corner of your screen, Fotor for Mac is a clean, easy to use, powerful, and a fun image editor. The combination of adjustment sliders, effects, borders, tilt shift control, and text tool gives most photographers to power they need to spice up a photo and send it on its way. I also like the built-in collage maker and batch processor, unexpected bonuses for free software. Fotor draws upon Mac OS X for its RAW processing (as it does in other areas too). So if your Mac provides RAW support for a camera, so does this app. 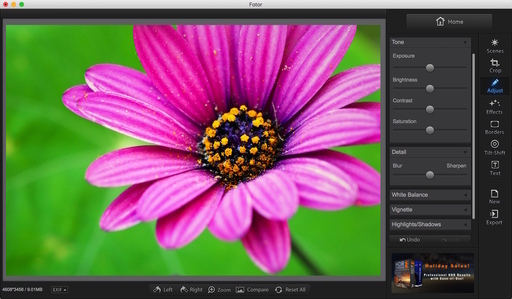 Bottom line is this: Mac photographers looking for a free editor with lots of punch should take a look at Fotor for Mac (It's also available as a sweet iOS app). 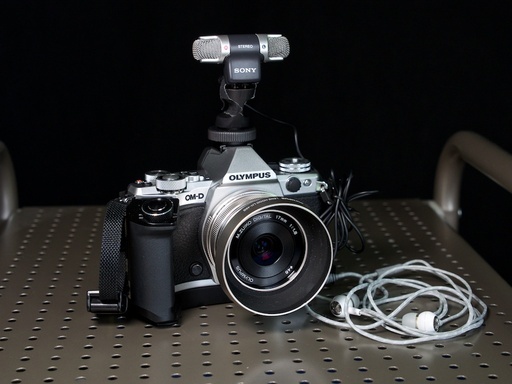 The good news is that the Olympus OM-D E-M5 Mark II includes a stereo microphone jack that can be used for an audio input device of your choice. And you can use the External Grip HLD-8G to monitor the input during recording. The bad news is that the interface is somewhat noisy and you may not want to bother. I've done some informal testing using a non-powered Sony stereo mic, a powered Audio Technica clip-on device, and the built-in stereo pickups in the E-M5 Mark II itself. And after running through all of the settings, the built-in mics performed about as well as the external devices. Listen for yourself. I start out this video using a powered clip-on recording in mono, then switch to the onboard pickups in the E-M5 Mark II. They definitely sound different, but the amount of background hiss was about the same. This time around I recorded some music and just myself talking. No surprisingly, when capturing the music, background hiss wasn't really a factor. But once again, when it was just me, the hiss was noticeable. Since the video with the E-M5 Mark II is outstanding, it's worth figuring out the audio. For casual recording, I thought the onboard stereo mics worked nearly as well as low-end external units plugged in to the camera. So I can't think of a compelling reason to bring a separate mic for on-the-go video capture. The next option is a mic with a 10db boost. These devices often have a narrow recording pattern, so they're not perfect for every situation. But they're well-designed for quick interviews and news reporting. The 10db boost helps compensate for the weak preamps in the camera. The best audio is going to be recorded with a separate device, such as a Zoom, then substituted for the native audio in post production. For critical use, this is still the preferred method. Not everyone, however, wants to spend the extra time in editing. Just like everything else in photography, you have to figure out your priorities and go from there. After listening to the samples, what do your ears hear? 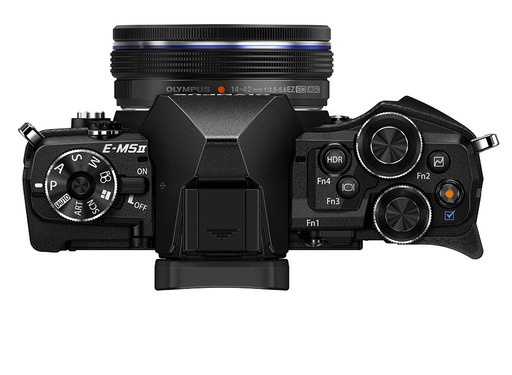 The Olympus OM-D E-M5 Mark II has a high Nimbleosity Rating. What does that mean? You can learn about Nimbleosity and more by visiting TheNimblePhotographer.com. 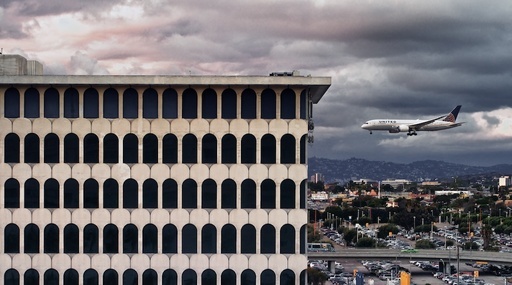 DxO Optics Pro is in the news today with their 10.3 release. Olympus also announces a handsome new travel camera with a 24X zoom and RAW support. And finally, Adobe released Photoshop Mix 1.5 with added support for Adobe Ink and the Cloud Clipboard. The latest update to DxO's image-processing software features support for the Nikon D5500, Canon PowerShot SX60 HS, and Olympus PEN E-PL7, as well as new correction tools and an improved user experience. 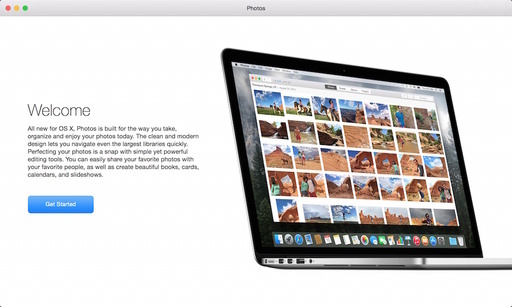 The Mac OS X version also offers a new drag-and-drop feature that allows photographers to directly open a folder by dragging it into the Image Browser, providing quicker access to images. 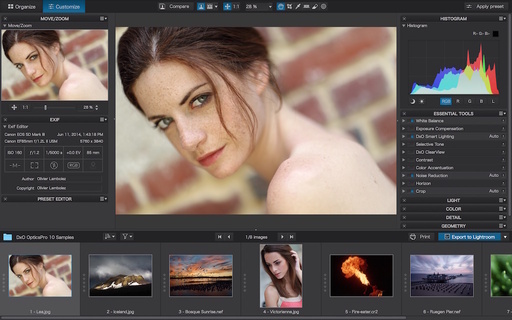 The correction tools have been revisited, now adding greater finesse and ease to DxO OpticsPro. The Horizon slider now makes small rotations easier to perform, and the Dust tool is also easier to use. DxO OpticsPro v10.3 is now available in the DxO online store at a special discount through March 31, 2015. 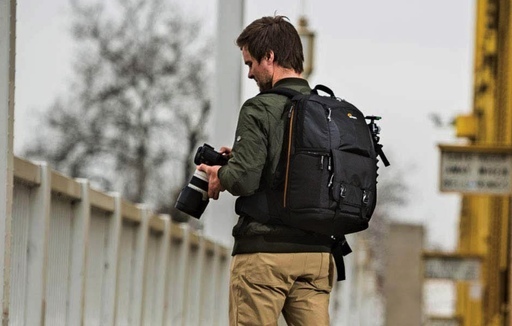 The Olympus Stylus SH-2 features a 24x wide-angle optical zoom lens, built-in Wi-Fi connectivity for remote shooting and sharing with a smart device, RAW capture capability, and 5-Axis Image Stabilization that supports both still image and video capture. The SH-2 also adds new Nightscape Modes for night scenes and portraits. 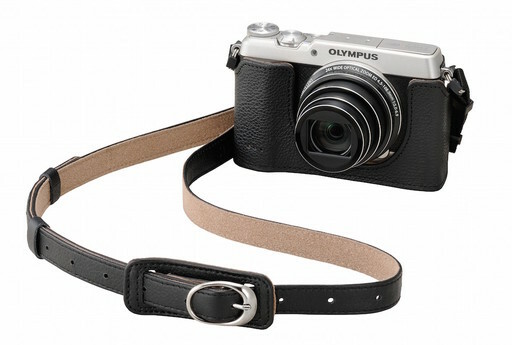 The Olympus Stylus SH-2 will be available in April at an estimated street price of $399.99 (available in Black and Silver). For a complete list of specifications, visit the Olympus site. Adobe has released Photoshop Mix 1.5 with added support for Adobe Ink and the Cloud Clipboard, allowing users to browse an album of their creative assets that can be pasted into an image in Photoshop Mix with one touch of the stylus. Photoshop Mix also now supports Wacom and Pencil styluses. Also new in this update is the ability to merge images. 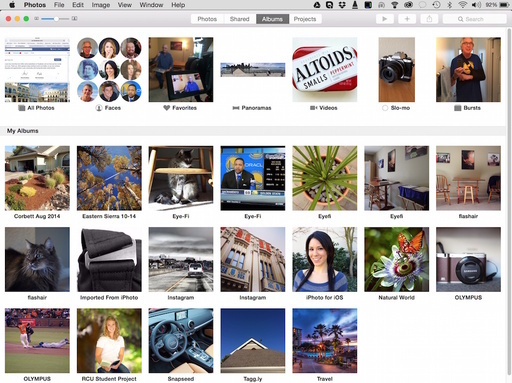 In Overview, drag one image on top of another to combine them into a single image. Also, when the app is launched, prior to signing-in, users will get a quick hands-on demo of how to cut out part of one photo and add it to another to create a combination image. Photoshop Mix is a free app for the iPhone and iPad and is built with Adobe's Creative SDK to integrate a seamless mobile workflow with Creative Cloud.